These are couple of the more unusual instruments I've sold. 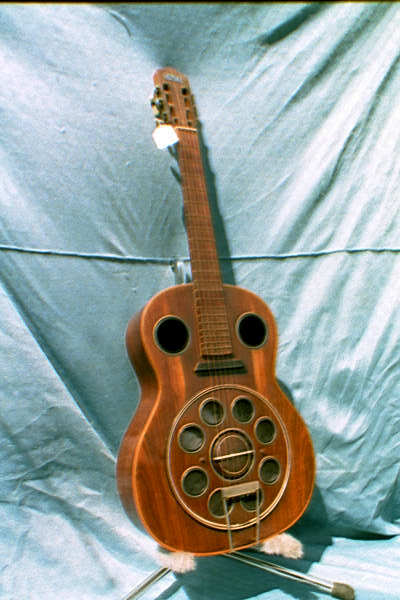 This Del Vecchio Resonator was made Brazil in the 30's and is all rosewood. Highly sought after and all rosewood, it is quite unusual. A great playing and sounding guitar. 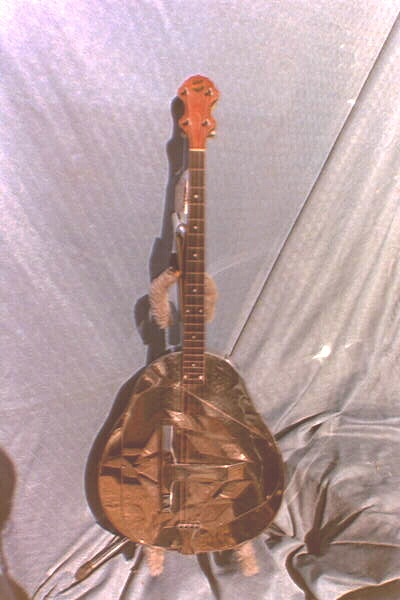 This National Tricone plectrum guitar is a quite rare and unsual guitar. Appealing to the 4 string player it is a very cool sounding instrument.